Senate Majority Leader Mitch McConnell said the Senate will cancel its scheduled recess next week unless the partial government shutdown ends and the government is funded Tuesday afternoon. “We certainly will not be in recess next week if the government is still shut down,” McConnell said to reporters on Capitol Hill. His comments come as the Senate has a recess planned beginning Friday until Jan. 28, despite the 25-day partial government shutdown. McConnell made it clear that senators would be required to work throughout their scheduled recess unless both parties can compromise and find a way to fund the government. Democrats also refused to participate in a lunch with President Donald Trump at the White House Tuesday. The meeting was planned to discuss a compromise to end the partial government shutdown. However, all Democrats who were invited refused to attend. 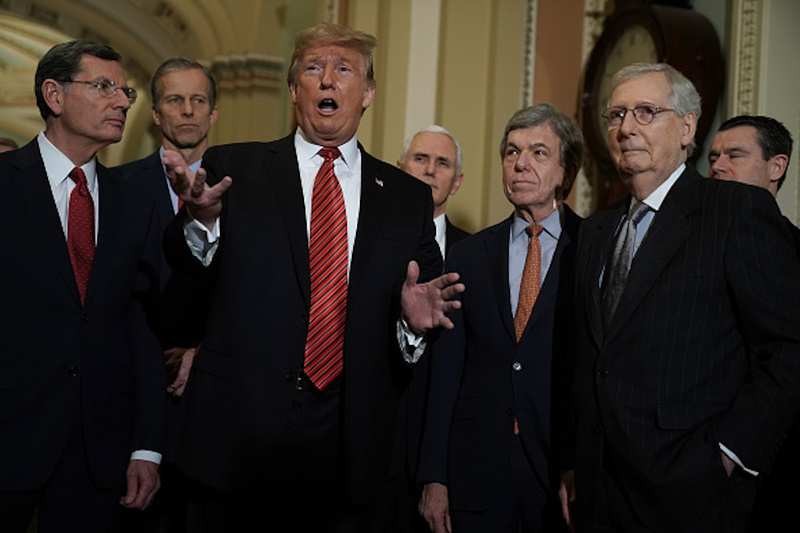 Trump has warned Democrats he might declare a national emergency if they cannot come to an agreement in the near future.